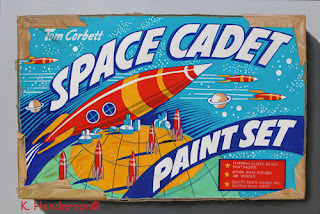 Tom Corbett, Space Cadet was another creation born from the worlds fascination with Space in the 1950's. Tom Corbett — Space Cadet stories were depicted in television, radio, books, comic books, comic strips, and other media. Tom Corbett first appeared on television in October of 1950. The stories followed the adventures of Corbett and other cadets at the Space Academy as they train to become members of the Solar Guard. This 15” x 23” (approximate image area) print is on high-grade Epson Enhanced Matte paper for the price of $135 plus $10 shipping/handling, a total of $145. You can pay by credit card (through Paypal) or check. If you pay with a credit card, I will ship as soon as the payment posts to my account which usually only takes takes a day or two. 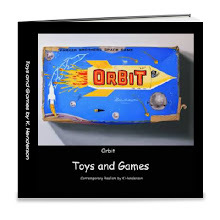 The print will be shipped in a heavy weight 3” mailing tube by Priority USPS. If you prefer to pay with a check please Contact Me. Click HERE to view print sizes,details and to purchase:Prints Available! 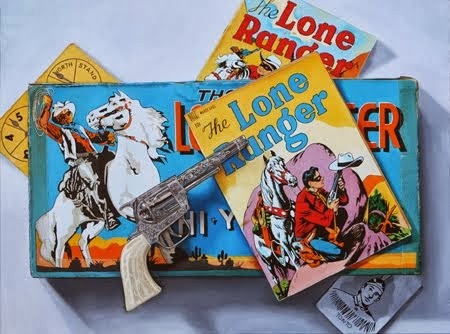 All the the Vintage Game Board paintings I've been creating recently have been 'Boy' games (Cowboys, Indians, Super Heroes). I decided it was time to do a 'Girl' game. 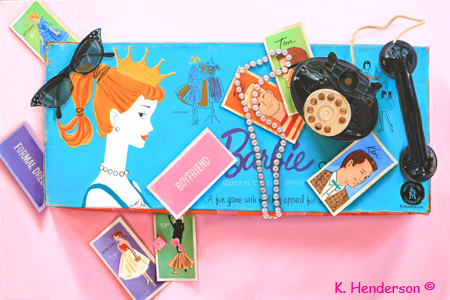 And what could be more Girly than Barbie, The Famous Teenage Fashion Doll? My favorite barbie accessory is the Cat-Eye sunglasses. This game includes Boyfriend cards and Formal cards among others. And what teenage girl could live without her Telephone? 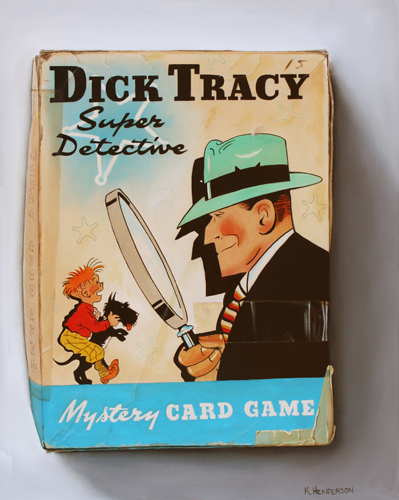 This game has a copyright date of 1960 from Mattel. In this game you are Barbie. You win if you are the first player to be crowned Queen of the Prom. But in order to win you must have a steady boyfriend, a prom dress and be elected president of a school club. This 15” x 23” (approximate image area) print is on high-grade Epson Enhanced Matte paper for the price of $145 plus $10 shipping/handling, a total of $155. 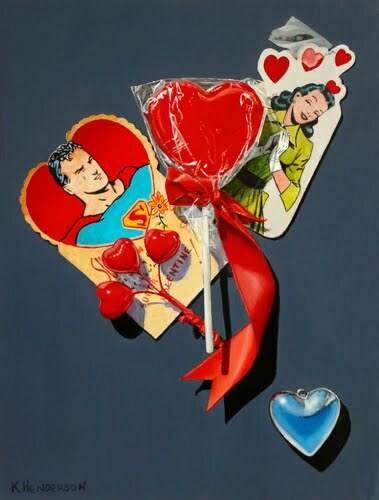 This 20” x 16” (approximate image area) print is on high-grade Epson Enhanced Matte paper for the price of $135 plus $10 shipping/handling, a total of $145.